In the summer of 1883, Mark Twain wrote in a letter: “I am piling up manuscript in a really astonishing way. I believe I shall complete, in two months, a book which I have been fooling over for seven years. This summer it is no more trouble to me to write than it is to lie.” And on this day in 1885, Mark Twain published that manuscript, Adventures of Huckleberry Finn. Almost a decade earlier, The Adventures of Tom Sawyer (1876) had been a huge success, and the public was enthusiastically awaiting Twain’s newest installment, a sequel to the escapades of Tom and his friend Huck. It was set to be published in time for Christmas in 1884. But in late November, someone in the publishing house of Charles L. Webster and Company realized something that had escaped the notice of Webster, the writer William Dean Howells, and Twain himself when they looked over the proofs: Somewhere along the way, someone had tinkered with the illustration of Uncle Silas on page 283, making it look like he was indecently exposing himself. Two hundred and fifty copies of the book had already been sent out, as advance reader’s copies; but 30,000 more were printed and ready for people who had ordered the book on subscription. The publishing house had to make a new plate, then go through every printed copy, cutting out the offending picture and replacing it with a cleaned-up illustration. But eventually it was printed, and for readers who had pre-ordered a book, there were several editions available. There was a regular cloth-bound book in either olive green or blue, there was a sheepskin leather binding, or a sumac-tanned goatskin with marbled edges. Prices ranged from $2.75 to $4.25. But Twain said, “The public is the only critic whose judgment is worth anything at all.” Three months after Huck Finn was published, in early May of 1864, Webster had sold 51,000 copies of the book, and as of today, an estimated 20 million copies have been sold. Despite Hemingway’s assurances, Huckleberry Finn remains one of the most challenged books in the U.S. In an attempt to avoid controversy, CBS produced a made-for-TV adaptation of the book in 1955 that lacked a single mention of slavery and did not have an African-American portray the character of Jim. In 1998, parents in Tempe, Ariz., sued the local high school over the book’s inclusion on a required reading list. The case went as far as a federal appeals court; the parents lost. Now that I think about it, we didn’t even have STICKY NOTES! Gasp! How did we EVER SURVIVE? I will say, looking back, I’m glad that I had the chance to read Huckleberry Finn without the distraction of it being a ‘banned book,’ at least at my high school. That meant I could work my way through it, and gain my own understanding, instead of being a rebel without a clue. I remember really liking the book. Did I love it? Not sure love had anything to do with it. Now that over twenty-five years have passed since I first read it, I think it’s time for a second read. The old saying of ‘you never step in the same river twice’ holds doubly true for reading classics. Our life experiences have taken us on a journey, and much like Huck and Jim, the journey isn’t idle, pleasant, or relaxing. There’s a shadow, a threat, constantly waiting to disrupt one’s peace and destiny. On another note, I suspect the good people back in the 1880s were expecting another light-hearted tale of boyhood charm and mischief, like Tom Sawyer, from Mr. Twain, but instead, they got a mirror held up to their faces showing them as the racists they were (and still are, perhaps). It made them uncomfortable. They didn’t want to think about a friendship between a runaway slave and a white boy, both on equal footing and stature. (And it is a complicated friendship-no question about it. The examination of the friendship, however it’s defined, is fodder for much debate about race, class, and freedom.) Later, they didn’t want to think about young boyhood not being idyllic. Humanity is stinky, dirty, grubby, and unwashed. And yet further down the river, they (the book- banners) didn’t, and don’t, want to think about a time when the United States was ugly, racist, and deadly. Many consider that downright unpatriotic. To me, what’s unpatriotic is not learning how to have a civil discourse about tough issues. And what’s even more unpatriotic is for our children not to learn how to read. I think I’m really most upset by the fact that I know many of my students aren’t ready to read The Adventures of Huckleberry Finn yet, though they’re almost in high school. They are working on the skills to understand dialect, setting, time periods, political and social influences, and develop the stamina to read a novel as long as Huckleberry. But many are not there yet, and I don’t know if I can push them harder. I try to provide as many contemporary, new titles for them, new classics that I think rock on ice, such as The Hunger Gamesby Suzanne Collins. I would be horrified if anyone tried to ban that book because it deals with tough issues, like putting children in mortal danger. Those stories and deeds have been done since the beginning of time. Heck, even Huck had an alcoholic father who beat him, didn’t feed him, so Huck had to learn to think by his wits. If we placed Huckleberrry in the Hunger Games along with Katniss, I’m sure he’d have given her a run for her money. What are you ready to read? What do you think about censorship and banning books? Ask your students: why does a writer who holds these views create a narrator who is too innocent and ignorant to challenge the topsy-turvy moral universe that surrounds him? “All right, then, I’ll go to Hell,” Huck says when he decides not to return Jim to slavery. Samuel Clemens might be convinced that slavery itself and its legacy are filled with shame, but Huck is convinced that his reward for defying the moral norms of his society will be eternal damnation. 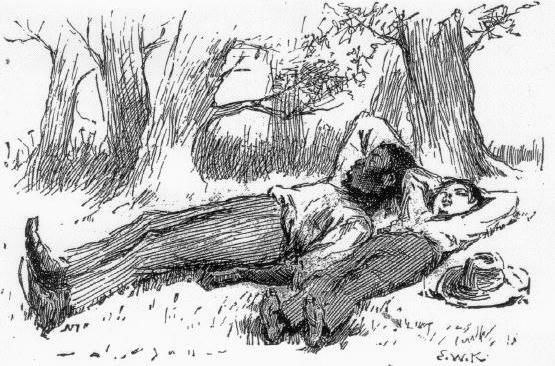 Something new happened in Huck Finn that had never happened in American literature before. It was a book, as many critics have observed, that served as a Declaration of Independence from the genteel English novel tradition. 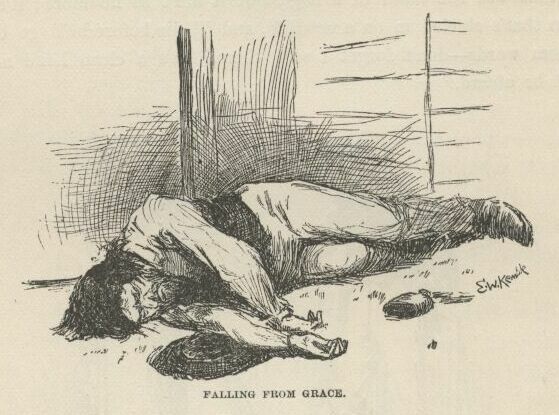 Huckleberry Finn allowed a different kind of writing to happen: a clean, crisp, no-nonsense, earthy vernacular kind of writing that jumped off the printed page with unprecedented immediacy and energy; it was a book that talked. Huck’s voice, combined with Twain’s satiric genius, changed the shape of fiction in America, and African-American voices had a great deal to do with making it what it was. Expose your students to the work of some of Twain’s African-American contemporaries, such as Frederick Douglass, Charles Chesnutt, and Paul Laurence Dunbar. Those voices can greatly enrich students’ understanding of both the issues Huckleberry Finn raises and the vernacular style in which it raises them. Previous Flying carpet, my fanny. Next Worst insult ever: You're boring.